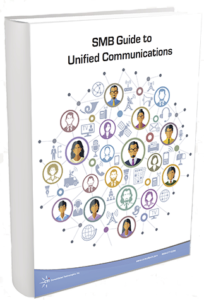 Comprehensive Guide to Unified Communications for SMBs : Consolidated Technologies, Inc. The vast array of communications technologies available to small and midsize businesses (SMBs) today allows businesses to improve connections with customers, partners and fellow employees. The broad range of different channels that exist may make your business’ communications difficult to manage. Unified Communications (UC) solves this issue by making the use of these various collaboration tools more efficient. The aim behind Unified Communications is to integrate a range of applications for simplified use. According to some, the tools must be combined into one platform. Others say it could include a set of solutions that make communications more cohesive. Click Here to Download Your Free PDF Version of this Guide. With a Unified Communications system in place, staff can hold virtual meetings, collaborate on projects and communicate with customers around the clock. They can use a variety of channels to communicate with anyone, anytime, anywhere and from any device — not just desktop computers anymore. A UC solution lets businesses maintain the benefits of a diverse communications portfolio with far greater seamlessness. This enables SMBs to keep better track of their communications and projects and helps employees collaborate more efficiently by putting everyone on the same page. Unified Communications can benefit SMBs in a variety of ways. It can improve your communication with customers with respect to sales, marketing and customer service. It also fosters collaboration between employees and helps keep that collaboration organized. These benefits also extend to communications with other parties such as partnering businesses and organizations, suppliers and more. Simplifying employees’ communication methods boosts their productivity, which results in increased profits for your company. A more seamless communication system saves time and reduces frustration by allowing you to get into contact with whomever you need, whenever you need to. In one survey, 68 percent of organizations reported an increase in productivity between geographically dispersed groups after implementing UC solutions. Unified communications solutions let employees choose the device calls go to depending on their schedule, location and even who is calling them. That way, if an employee is out of the office, calls to their office phone will redirect to their cell phone. If that employee is unavailable, the call might also be sent to another qualified staff member. You can reach people more quickly by using features such as click-to-call from the contact list on your device. Another key benefit of unified communications is presence, which increases productivity, enhances organizations and saves time and money. Presence refers to the ability to see where coworkers are, and whether they’re available, at all times. This works by identifying the location of a device when it connects to a network. This way, you don’t waste time trying to contact someone who is at a meeting with a client or on the road if you need something immediately. Instead, you can check an employee’s status before you call and, if they’re busy, call someone else or use a different communication method such as email or text message. This could be especially useful for managers who oversee a team. If they need to delegate a task to someone or ask someone for information, they can quickly see every team member’s status and make a more informed decision about which employee to contact. UC solutions also enable more seamless communication with employees, customers, suppliers and other contacts who are spread out throughout various locations. Whether an employee works from home, from an office in another country or is just out on a business trip, you can talk with them on-demand and keep them in the loop. Beyond communication, it also offers the availability of a secure connection for any employees on the road or out of the office. UC solutions often include tools that staff can use to collaborate more effectively. The fact that everyone is using the same communication platforms makes it easier to talk and work with multiple people at once. You can consult with coworkers in real-time about a project over the phone, in a video conference or in a group chat. You may also be able to create a shared document that everyone can edit and add their ideas to. These collaborative tools make it easier to organize group projects. With unified communications, you can more quickly check who is responsible for what, see who is available and keep track of progress. This makes for a more efficient collaborative process and better outcomes from team projects. In today’s tech-heavy world, businesses don’t just use one method to communicate. They use several because of the various advantages they each provide. While using multiple communication technologies has its benefits, it can also lead to confusion and miscommunication. UC helps to mitigate this risk by integrating all of your technologies. You’ll more easily be able to switch between phone calls, video conferencing, email, group chat and collaborative software. This enables you to choose the right outreach method for the situation without confusion. The right UC solution will also make it easier to use more advanced technologies such as video conferencing and screen sharing. These tools will allow you to cut down on travel expenses by enabling you to hold meetings via video and other platforms. By combining your communications into a unified system, your business will save money in the long run. You’ll avoid excess roaming fees and charges for long-distance calls out of the office. You also won’t have to pay for third-party conferencing software and you can reduce the travel expenses associated with face-to-face meetings by holding more phone and video conferences. You may even increase your profits by enabling employees to be more productive and increasing your sales, improving your bottom line even more substantially. If a company has an IT department, its tech staff can usually install and implement the necessary equipment and software for a new UC system. They can also conduct the employee training and manage its operation and maintenance. However, smaller companies typically can’t afford the technological infrastructure and expertise an on-site system requires. Typically, the SMB can choose what services they need from the MSP, who will then charge accordingly. Oftentimes, a UC solution from an outsourced tech team will host the equipment off-site in their own facility and provide access to the system through the cloud. This means the SMB can access the tools online from anywhere with an internet connection without having to pay for the costly installation of bulky equipment or the salary of a full IT support staff. For smaller businesses, MSPs provide reliable operation and maintenance at a more affordable price. They also afford the SMB more time to focus on business operations other than managing communications, such as increasing sales and profits. What Tools Do I Currently Use and Can I Integrate Them With UC? When choosing UC solutions, you need to consider what capabilities you need. Think about the various communications channels you use such as email, messenger apps, phone calls and video conferencing, and make sure the UC system you choose works with them. If you’re not sure, ask an MSP! Also, consider any other software you use, such as CRMs, and check to see if your UC will be able to integrate with the systems you already use. What Technical Support Do I Need? You should also consider the technical support you will need and what the company providing the UC solutions offers. If you have an IT staff, you won’t need as much outsourced IT. If you don’t have an in-house IT support staff, you will want to outsource much of it. First, decide whether you’d rather host equipment on-site or use a cloud-based service. If you’re unsure about the answers to these questions, the service provider can help you work through some of the more technical aspects. Will I Need to Expand My UC System in the Future? Do you expect your business to grow in the near future? If so, your communications needs will likely grow with it. Evaluate the scalability of each solution. Determine if you can easily expand it or if you’ll revamp your system or switch to a new one entirely if your business grows substantially. Think about both the near future and the long-term picture. Do My Employees Work From Multiple Locations or on the Road? Where your employees are located can play a role in the solutions you use. Some can support companies with employees in multiple offices spread around the globe or employees who work from the road. Others can only handle employees based out of a single central office. User interface, or UI, refers to the means through which a user interacts with a system. Quality UI design makes technology easy and intuitive to use. Poor UI design makes using it confusing and means there’s a steep learning curve. Opt for the most usable UI while also taking care not to sacrifice usability for simplicity. What Is My Communications Budget? Budget, of course, is another crucial consideration when choosing UI solutions. Weigh the costs against the benefits. What can you afford now? Remember that if you choose an easily scalable option, you can always expand later with the money your UC helps your company earn. For SMBs, a cloud-based system run by an MSP is often more affordable than hiring IT staff and building out a system yourself. Choosing a unified communications provider is another important consideration for an SMB. You need to pick a reliable company that offers the services you need. Here are a few questions you should ask and tips for how to choose a provider for unified communications. Research how long the company has been offering UC solutions and how stable they are financially. Check customer reviews of the company and testimonials. Don’t be afraid to ask for references so you can verify other customers were satisfied with their experience with the company. What Customer Service Options Do They Offer? Also consider their customer service. Will they answer questions quickly? Can they help with technical problems? Will they perform routine maintenance? Depending your own staff’s technical expertise, this will be of varying importance to you. Naturally, you should also make sure the provider can deliver the functionality and features you need. Look into not only what you need right now but also what you might need in the future. You want this to be a provider you can stick with for a long time so expansions or changes are easier to implement down the road. Now that you know how to choose a solution provider for UC, we hope you will consider us. Since the early days of the internet, Consolidated Technologies, Inc. has provided efficient communications technology for SMBs. We know what UC solutions can do for your small or medium-sized business and we have the expertise to provide you with them. Contact us today to learn more about our range of custom SMB solutions and find the right solution for your business. Contact CTI today to discuss a communications solution to help your business be more productive.